Witnesses say the measure will increase trust in government, while prominent lobbyists fret over quarterly reporting requirements. 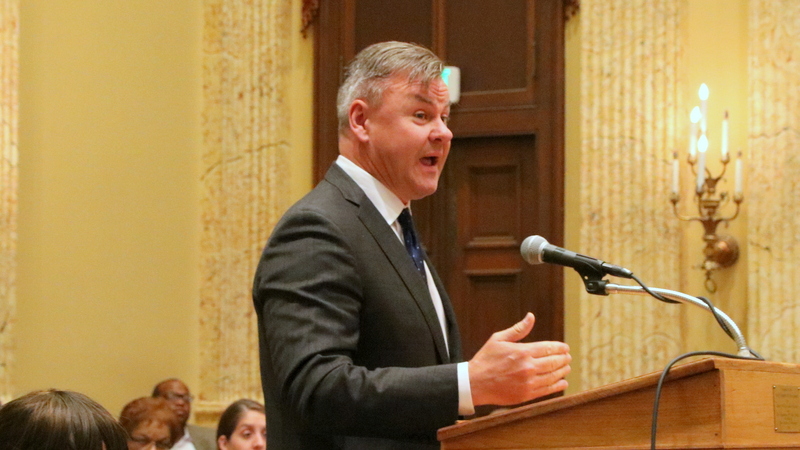 Denouncing closed-door meetings – and the fact that lobbyist activity reports are still maintained on paper, not online – witnesses heaped praise on a bill to tighten restrictions on Baltimore lobbyists and modernize the regulation process. 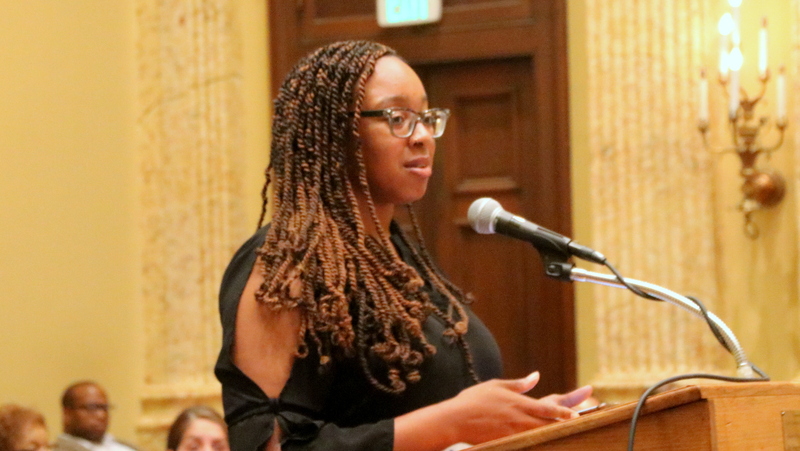 “This is putting small resident-advocates on an even footing with the larger well-funded interests” who engage in “backroom deals and influence decisions that impact our citizens before residents are even aware that an opportunity exists,” Ray Kelly, director of the No Boundaries Coalition, said at a City Council hearing yesterday. 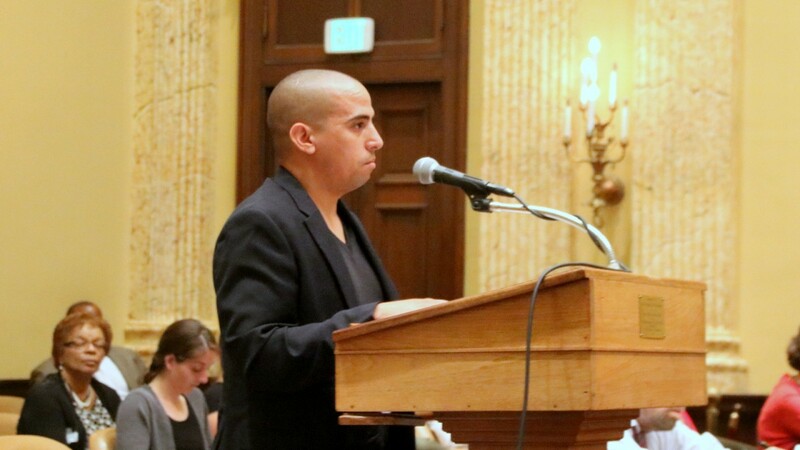 “All organizations that lobby or advocate to city government, including ourselves, should be accountable and transparent to the public,” said Sergio España, of the American Civil Liberties Union of Maryland, another speaker testifying in favor of the measure. “And such information should be made easily accessible, not just available in a filing cabinet somewhere within these walls,” he added. 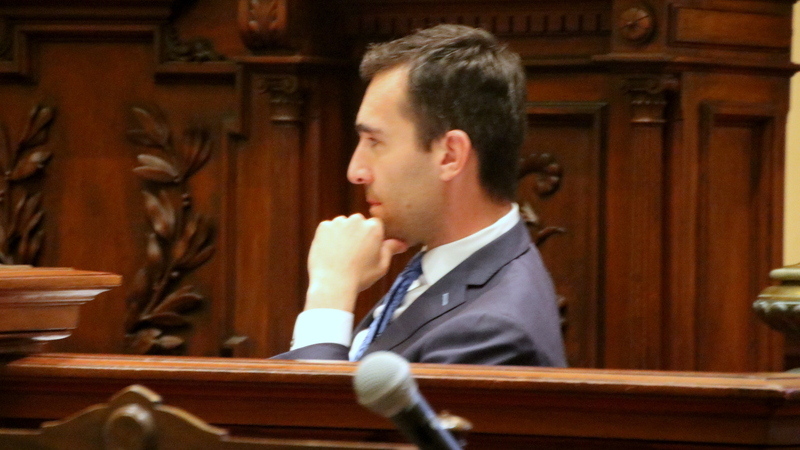 Introduced by 1st District Councilman Zeke Cohen, the bill would also require reports to be available to the public online within 30 days. 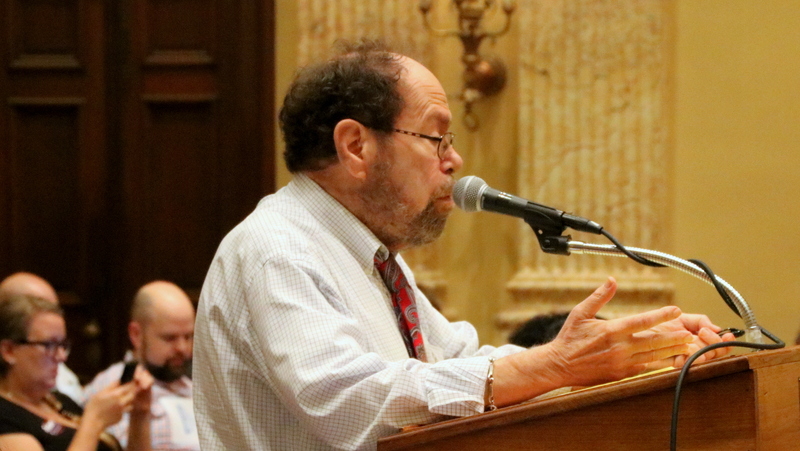 Bill 18-0230 would “place Baltimore on the national forefront of lobbying reform,” Cohen said, addressing an audience dominated by activists who advocate for low-income workers, the homeless, students, black women, water affordability and other causes. “We can show that at the local level, we are listening to the citizen we serve, and not just those that can afford to hire a lawyer or a lobbyist,” Cohen said. But a lobbyist sought to push back on the idea that established firms with deep-pocketed clients like his, Harris Jones & Malone LLC, are in need of more regulation. “We identify ourselves. We tell you who we represent. We fill out the forms. You know who we are,” said Sean Malone. So which group, in his view, is the problem? “The reality is there’s a whole group of advocates, and that’s what they call themselves, advocates, who do not register as lobbyists . . . whether it’s grassroots efforts or at face-to-face meetings,” Malone said. It’s “a whole group of advocates” who currently circumvent the lobbyist registration rules, says Sean Malone. Malone said he supports the bill, but called for the elimination of the provision that defines a legislative lobbyist as anyone earning $2,500 or more in compensation during a reporting period. “They hide behind that $2,500 threshold,” Malone said. Plaut argued that the bill should be amended to mirror the state requirement, which calls for lobbyist reports to be filed twice-a-year. Those complaints drew a skeptical response from another witness, solo lobbying practitioner, Akil Patterson of Community Advocacy Consultants. Representatives of the city Finance and Law departments said they had no objection to the bill. Neither did Avery Aisenstark, director of Legislative Reference, who additionally serves as staff support for the Ethics Board, which maintains lobbying information. But Aisenstark expressed concern about the prospect of the bill being approved and taking effect before his office is equipped to handle the extra work. One critique of the bill came from Councilman Eric Costello, chair of the Judiciary and Legislative Investigations Committee. He said the $2,500 compensation threshold, observed under a quarterly system, would mean, in effect, a $10,000 threshold. The “unintended consequence” would be that lobbyists earning $10,000 or less a year would now be exempt from reporting requirements, Costello said. Speaking with The Brew after the hearing, Cohen disputed that interpretation, but said he would consult with the Law Department and, if necessary, amend the bill. Cohen defended the $2,500 threshold, saying the measure needed a way “to differentiate between a lobbyist and someone who is just advocating for their community,” such as a neighborhood association president. “That’s kind of the ethical quandary in all this, ‘What makes someone a lobbyist?’” he added. Are consultants, community leaders, politicians, ex-politicians, developers and other local influencers “lobbyists” or not? That gray area is the backdrop for discussion about lobbying reform in a city where attorneys, consultants, community leaders, politicians, ex-politicians, government officials, developers and other influencers maintain a web of relationships and conversations. “What about the agencies? Like DOT and DPW, for instance. When they have a contract and decide to knock out the low bidder. Who made that happen? How do we find out that?” Patterson asked. Speaking afterwards, Patterson “big money” players will be able to get around the provisions of the bill while small grassroots organizations and non-profits with fewer resources will more likely run afoul of the tougher rules. He argued for raising the $2,500 compensation threshold to exempt more of them from the requirements. 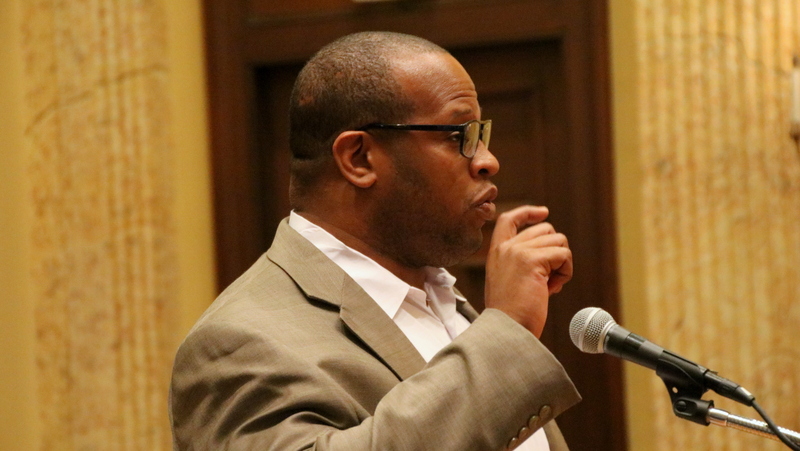 Tech entrepreneur Dave Troy, administrator of the Baltimore Voters Facebook group, spoke in favor of the bill, saying it would help restore trust in local government and serve as a stepping stone to further accountability reform. Costello said he will soon announce the date of a committee work session on the bill. He said his aim is to get the measure out of committee and up for a second reader vote at the Council’s next meeting on September 17.